With courts facing growing caseloads and staff cutbacks, and given the rising costs of litigation in both time and resources, mediation has increasingly become a preferred method to resolve legal disputes. We can't change the past, but through the mediation process, Pathways Mediation in Exeter, New Hampshire can assist you in reaching innovative, peaceful, and lasting solutions for your legal issues to help shape your future in a way that best serves your individual needs and interests. 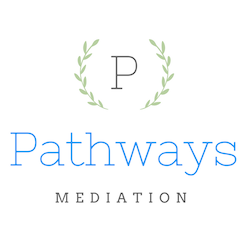 "Pathways Mediation helped guide me through a really hard time in my life. The mediator was always understanding and a good listener. He helped us find solutions that worked for both of us. Plus, we saved a ton of money and time in court!" Pathways Mediation is a professional mediation service located in Exeter, New Hampshire. We specialize in Divorce and Family mediation, serving individuals and families in the greater Seacoast New Hampshire area, including Rockingham County.